Published on March 1, 2010 in COP, Culture, Entertainment, India, Politics, Race and Identity and UNC. 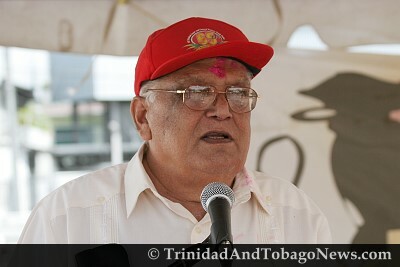 Closed Tags: Kamla Persad-Bissessar, Phagwa, Politics, Sanatan Dharma Maha Saba, Satnarayan Maharaj. A kaleidoscope of colour and brightness, reminiscent of youth, innocence and vibrance was witnessed yesterday at the Sanatan Dharma Maha Saba Children’s Phagwa celebrations at the Tunapuna Hindu School. 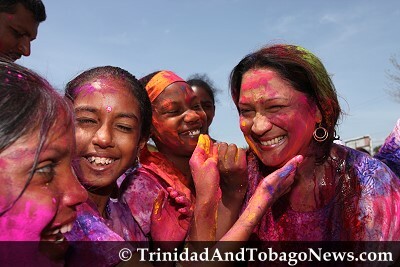 Hundreds of students from various Hindu schools from all over Trinidad assembled to experience the delight of Phagwa and the fun of splashing each other with abeer with the dominant colours being purple, red, green, blue, pink, orange and yellow.